“Then he i.e. the author of Al-‘Umdah said, ‘Allah (Exalted is He) is not described with Power over oppression, impudence and falsehood because the impossible is not included in [His] Power, i.e. it is improper for it to pertain to them. According to the Mu’tazilah, He (Exalted is He) is Able over all that but does not do [them].’ End quote from Al-‘Umda. 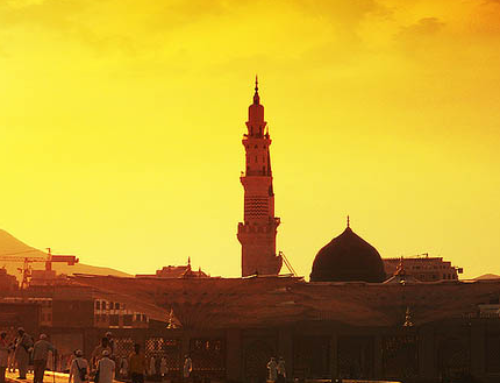 “It appears as though he altered that which he transmitted from the Mu’tazilah, since there is no doubt that the absence of power over what was mentioned, is the madhhab of the Mu’tazilah. As for its presence, i.e. power over what was mentioned, and then abstention from pertaining to them by choice, to the madhhab, i.e. it is to the madhhab of the Ash’aris, more fitting than it is to the madhhab of the Mu’tazilah. It is obvious that this more fitting [position] is also included in transcendence, since there is no doubt that abstention therefrom i.e. from those things mentioned of oppression, impudence and falsehood, is from the matter of transcendence, from that which does not befit the majesty of His Holiness (Exalted is He). “In sum, lying being ugly in the uttered-speech (al-kalam al-lafzi), in the sense that it is an attribute of deficiency, is prohibited according to the Ash’aris. That is why Al-Sharif al-Muhaqqiq (al-Jurjani) said it is from the totality of the possibilities (mumkinat), and acquiring decisive knowledge of its non-occurrence in His speech by consensus of the scholars and the Prophets (upon them be peace) does not negate its intrinsic possibility like all decisive knowledge of normal occurrences (al-‘ulum al-‘adiya) and it does not negate what Imam al-Razi said,” to the end. Similar [statements] to what we quoted from the madhhab of the Ash’aris were mentioned by Al-Qadi al-‘Adud in Sharh Mukhtasar al-Usul and the commentators on it. Similar [statements] to it are found in Sharh al-Mawaqif and the marginalia to Al-Mawaqif by Al-Chalabi, and others. Similarly, ‘Allamah al-Qushji in Sharh al-Tajrid, Al-Qunawi and others explicated this. We avoided quoting their texts fearing prolixity and tedium. Allah has charge of right guidance and right direction. Masha’Allah. A much needed translation. 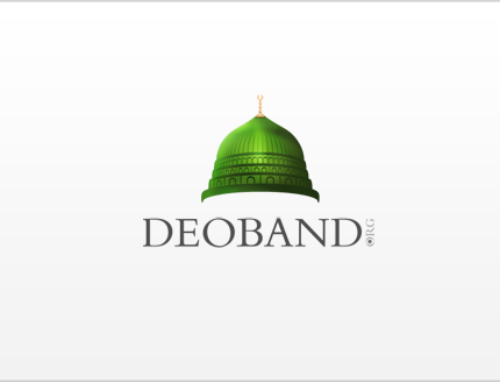 I have to say that Deoband.org is doing what we dreamed of 10 years back. May Allah Ta’ala accept all this effort and make it a means of guidance for one and all. Once again, Jazak Allah u Khairan. I notice that there are Arab Scholars from Haramain shareef who endorsed the books of scholars from Deoband University. 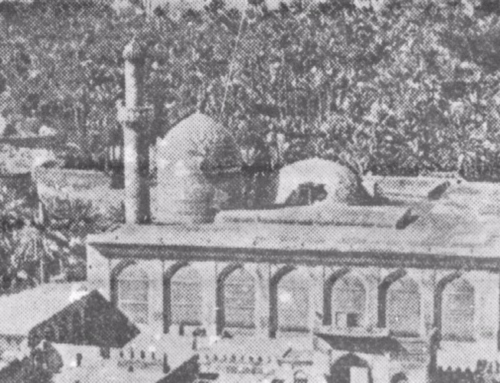 Shaykh al-Sharif Sayyid Ahmad ibn Ismail Barzanji al-Shafi was a great scholar and Mufti of Madinah Shareef who refuted Barelwi leader, Ahmad Raza Khan on the issue of Ilm al-Ghaib. So, the claim of barelwis that only Scholars of Deoband oppose them is a lie. Many Sunnis from Arab world reject the Barelwi creed. Is anyone translating Mufti Muhammad Adam’s edition of ‘Al Muhannad al Al Mufannad’? I would love to get my hands on a translated copy of al-Muhannad ala al-Mufannad. My teacher the eminent scholar of Shaam, As-Sayyid Shaykh Muhammad Al-Yaqoubi clearly stated that one who does not accept Imam Ahmad Raza Khan cannot be from Ahl al Sunnah. 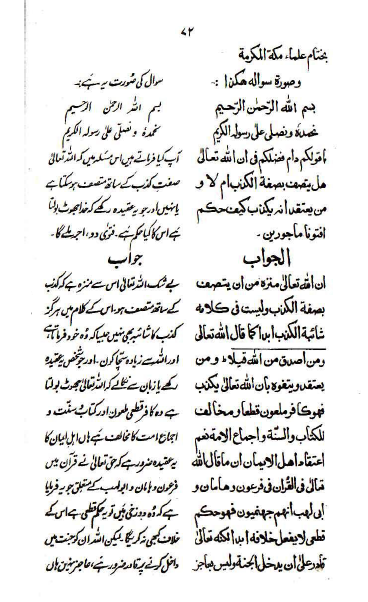 ok maybe it was mistaken by Imam Ahmed Raza Barlevi and he was misslead by Munafiqs…. I don`t think that Mr Raza was mistaken or mislead. The fact is that he was trying to mislead.